The Factorylux Eco-Filaments use the same narrow diameter CFL tube technology that lights most air traffic control screens and avionic displays. The technology is highly efficient, physically robust, extremely durable and has an exceptionally low failure rate. 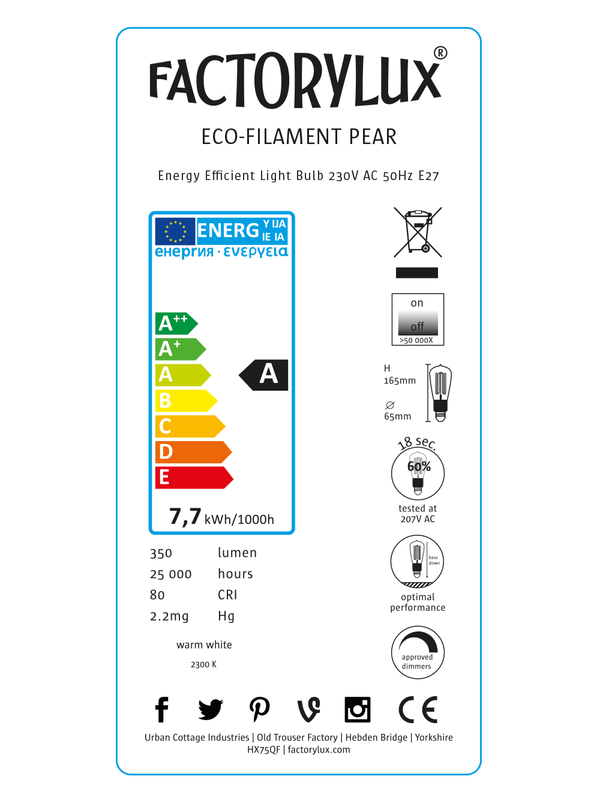 Accounting for purchase price and the average UK electricity price (14 pence per kWh), it costs just 1.4 pence per day to run an Eco-Filament light bulb for six hours per day over its 11 year life. 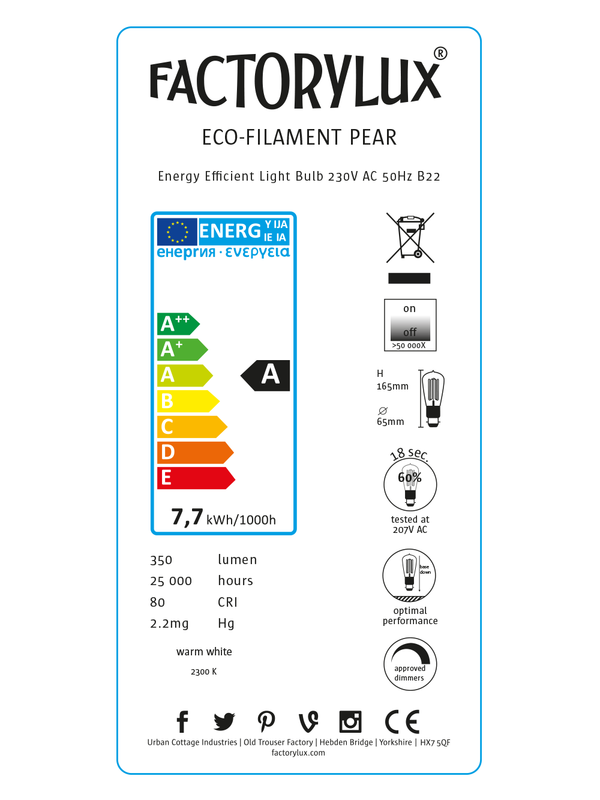 There's a Large Globe Eco-Filament and the Factorylux E27 lamp holder range includes special skirts to conceal the base or ballast of the Eco-Filaments, leaving only the glass on display. The skirts are available individually or with cord grip and hooked lamp holders.